Custom Pillow with airy portraits of woodland creatures create charming images equally appropriate for children or light-hearted adults. Pastel shades on silk charmeuse with a velvet-textured backing add a dreamy, ethereal appeal to young and old. 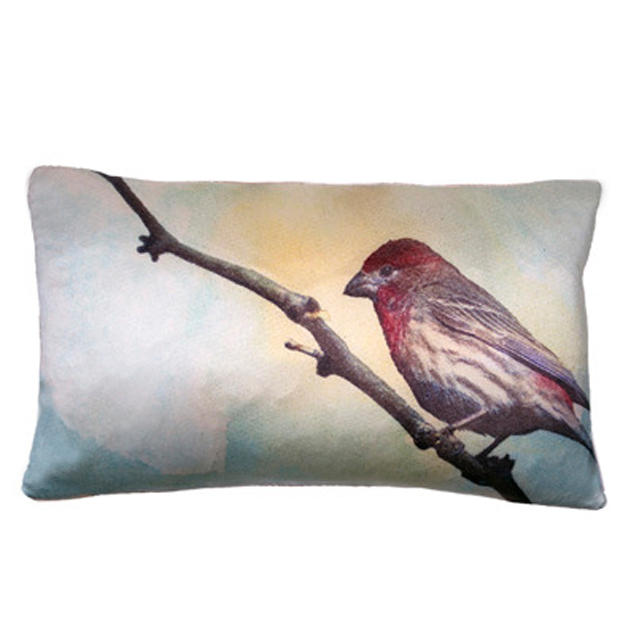 The custom Pillows in the Fable Collection are produced to order. We welcome you to contact us for pricing or additional information. borrowed feathers | 16" x 20"
north wind | 16" x 20"
the woodcutter | 16" x 20"
crimson flight | 16" x 20"
cottontail | 16" x 20"
traveler | 24" x 24"
folklore | 16" x 20"
sour grapes | 16" x 20"